The workshop will be held at LAAS, a unit of the National Centre for Research and hosts about 700 people. The workshop will be held in its conference room. 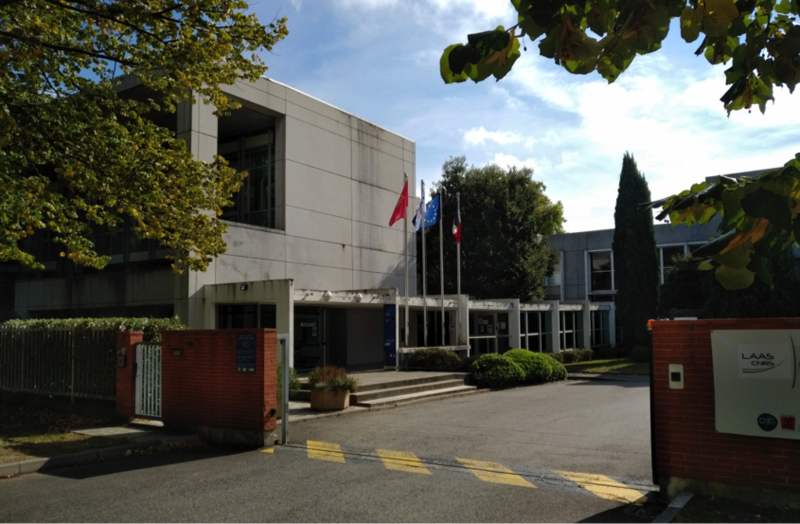 LAAS is located in the southern area of the city, close to the Paul Sabatier University (Toulouse III) campus, in the aerospace district. 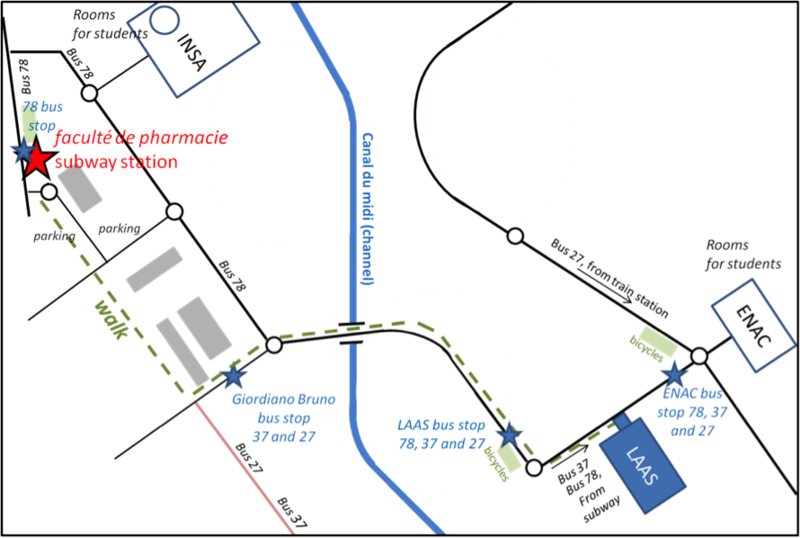 It is easy to reach LAAS from the center of Toulouse. To get maps of the subway and bus routes, Please visit the “local transportation” section of this website. Take the bus 27 (direction Ramonville) from the Matabiau Gare SNCF stop, (just cross the road in front of the train station), to LAAS stop. LAAS is at 200m (see map below). It takes about 15-20 minutes. Take the subway, line B (direction Ramonville), from Matabiau Gare SNCF station (in front of the train station) to Faculté de pharmacie station. walk to LAAS. It takes about 15min. take Bus 78 (just at the subway exit), direction Lycée Saint-Orens, and stop at the LAAS stop (3rd stop, 5min.). LAAS is located close to the Canal du midi (300m), which crosses France from the Mediterranean sea to the Atlantic ocean. A bike lane allows one to ride a bicycle from the center of Toulouse to LAAS in 20 minutes. To know how to rent a bicycle at a fair rate, Please visit the local transportation section of this website. Arriving to Toulouse by plane at the Toulouse-Blagnac airport, you may as well take a Taxi to reach LAAS within half an hour. Pay attention: Upon your arrival the first day, you need to stop by the reception office, at the entrance of LAAS, in order to be allowed to enter the building. Daily temperature in mid-July is between 30°C (85°F) and 38°C (100°F) in Toulouse. So take care to select a hotel with an air-conditioning system.